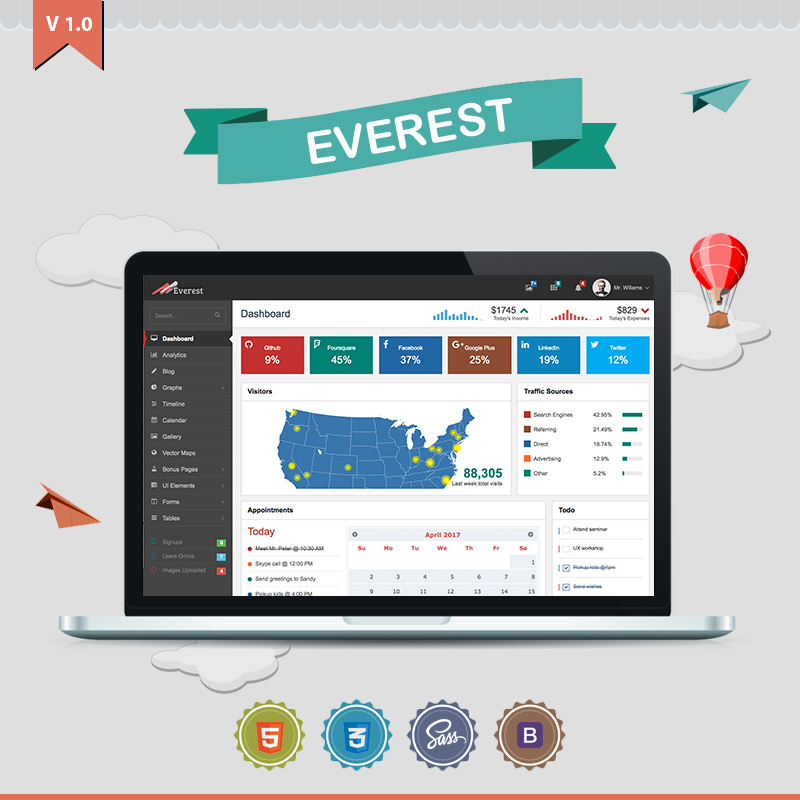 Everest is Bootstrap 3 Admin Template with jQuery plugins that is perfect for your next project. It provides an easy to use modern user interface design and a fully responsive layout that is compatible with handheld devices such as phones and tablets. The admin template adapts seamlessly with any device such as desktop, mac, tablets and mobile phones.